Could use at an intersection of a climate science lesson and social science considerations. Comments from expert scientist: This has been a well assembled and highly impactful project. 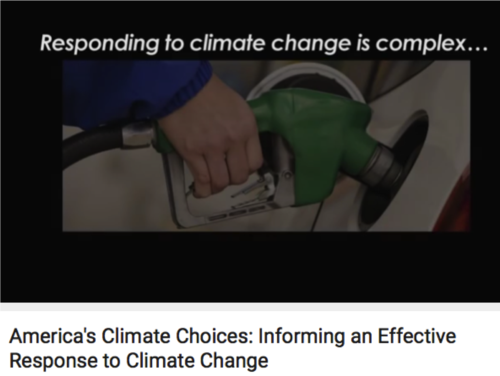 The entire report is available for download to accompany the video, called "Informing Effective Decisions Related to Climate Change," sponsored by the NOAA in preparation to Congress.